This shoe hugs your foot to give you that second skin fit; articulating every movement, allowing stretching out across the toes for better balance and stability. 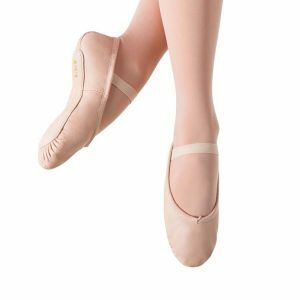 They have an elastic binding, so no need for a drawstring, ensuring the best fit possible around the top of the foot and with pre-sewn double arch elastic straps so no fiddly sewing needed. 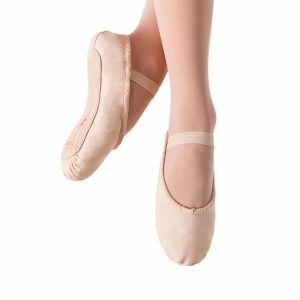 It has been said that it is more comfortable and a better fit than some some of the popular branded ballet shoes out there.